The MEKU Baermann funnel station is a laboratory aid for use in nematological applications. The equipment makes it easier to separate free living nematodes from soil samples. 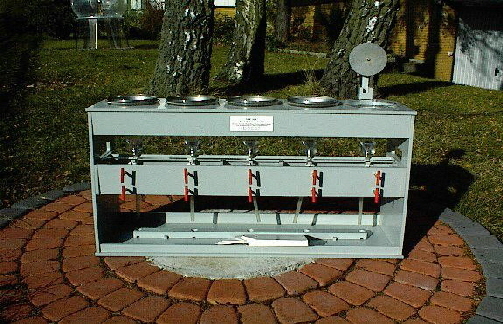 The equipment operates according to the Baermann principle and can be used fro dry as well as wet samples. Empirical data relating to time requirements and water quality may be taken from the relevant literature.